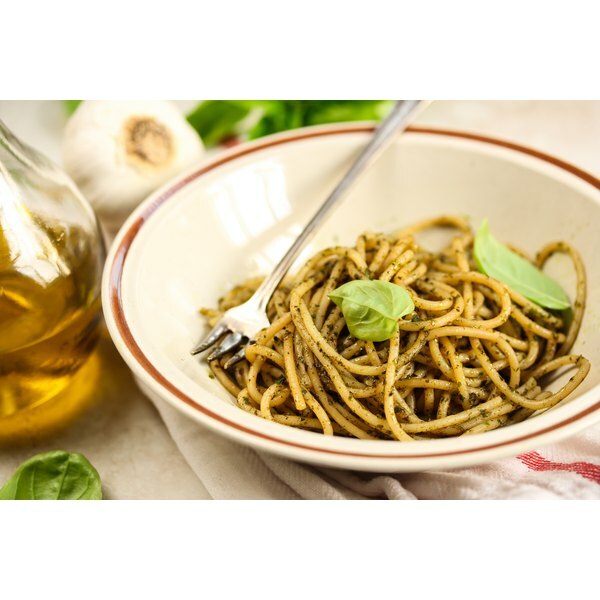 A dish of wheat pasta with basil and olive oil. Wheat, whole wheat and other grain-based pastas all contain approximately the same amount of calories: 100 calories per half-cup, cooked. If you don't have a measuring cup, try to serve a portion about the size of a tennis ball. The USDA My Pyramid serving size for wheat pasta is a 1/2 cup cooked or 1 oz., which provides approximately 100 calories. Most packages of pasta, however, list the serving size as 2 oz., which contains approximately 200 calories and yields about 1 cup, cooked. If you are trying to increase your consumption of whole grains, look for products that list "whole wheat flour" as the first ingredient. 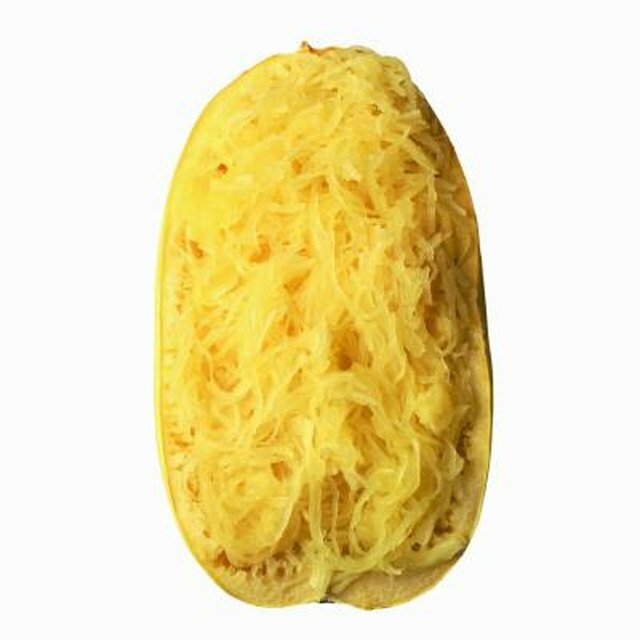 These products also contain 100 calories per 1/2 cup serving, but provide more nutrients and fiber than refined wheat pasta. The USDA recommends consuming at least half of your daily grain servings as whole grains. A 1/2 cup serving may seem small, especially when you're very hungry. To make your meal more filling, prepare pasta the way many Italians and Asians do: with lots of low-calorie vegetables. This will add color, flavor and texture as well satisfying bulk. How Many Calories Are in Cheese Ravioli?